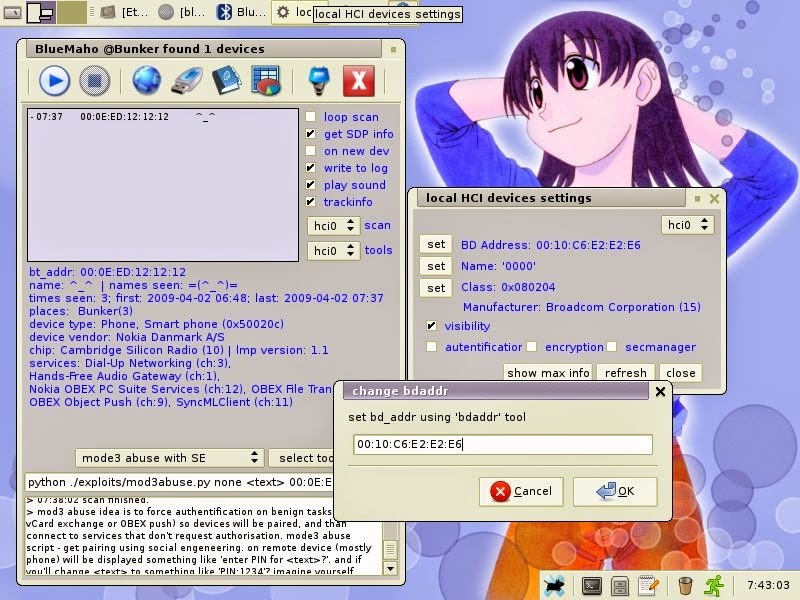 BlueMaho is GUI-shell (interface) for suite of tools for testing security of bluetooth devices. It is freeware, opensource, written on python, uses wxPyhon. It can be used for testing BT-devices for known vulnerabilities and major thing to do - testing to find unknown vulns. Also it can form nice statistics. What tools and exploits it consist of?